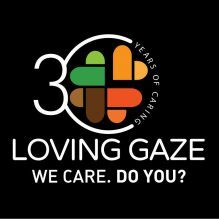 Loving Gaze has since inception, been involved in promoting human development through capacity training at the National, State and Local Government levels, targeting mostly health, educational and other socio economic interventions among private and public institutions and individuals. Loving Gaze recognises the value of every person and incorporates this in her training activities such that the experience of the trainee would be to benefit first, in order to pass it on to others effectively. Since 2008 Loving Gaze has covered various actual training needs for over 3152 individuals from 251 organisations/centres covering issues that relate to health and education. Recipients of these trainings are drawn from across Nigeria and include community organisations and individuals in Lagos State Government, mission and private clinics & Hospitals, Lagos Catholic Archdiocese, Schools of Health Technology, in Lagos and Ogun State, Medical School and School of Nursing & Midwifery of Lagos University Teaching Hospital. In a bid to ensure standard and effective beneficial trainings and workshops, methodology and curriculum are adopted and adapted based on current international and national guidelines. Resources persons are carefully identified and include specialists and consultants in the field of expertise. 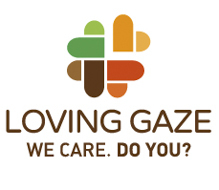 Loving Gaze also partners with a number of organisations and projects of international and national repute for this purpose and they include: Nigerian Institute of Medical research (NIMR), USAID /CRS /7D project; Permanent Center for Education – Uganda; London Institute for Women Health; Department of Community Health CMUL/ LUTH; Specialists and departments of the College of Medicine LUTH; US Ambassadors PEPEFAR small grants program (PSGP), World Bank assisted / Lagos State HIV/AIDs control Agency LSACA, Lagos State Ministry of Health; Lagos State Ministry for Women Affairs And Poverty Alleviation WAPA; Catholic Archdiocese of Lagos; Hope World Wide Nigeria and other NGOs, FBOs and corporate organisations.